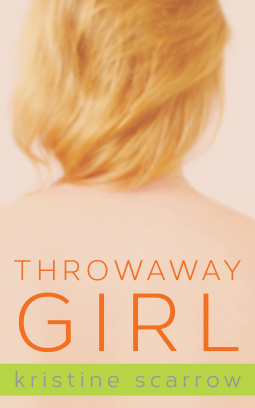 Throwaway Girl by Kristine Scarrow Published by Dundurn. Coming Fall 2014, available for pre-order now. Andy Burton knows a thing or two about survival. Since she was removed from her mother’s home and placed in foster care when she was nine, she’s had to deal with abuse, hunger, and homelessness. But now that she’s eighteen, she’s about to leave Haywood House, the group home for girls where she’s lived for the past four years, and the closest thing to a real home she’s ever known. Will Andy be able to carve out a better life for herself and find the happiness she is searching for? Andy finds herself nearing her 18th birthday and a new life outside of Haywood House, where she has been living. Haywood House is a group home for girls who have nowhere else to go. No parents, family or friends to take care of them, and no one to adopt them either. As we go through Andy’s present life, we have glimpses into life prior to Haywood House and the vents leading up to her living there. It’s a look into the way Andy learned how to live. She was trying to be a “perfect” child for her out of touch mother, and holding up a front that things were all right at home. Through some good and into some bad. To a life of cutting to cope. Then eventually to the life Andy came to know at Haywood House. As Andy prepares to transition out, she finds herself facing a new job, new school, and living by herself in an apartment. Being hurt by men is part of her past, but Andy has also found herself a loving and stable boyfriend. It’s sad to say, but Andy still has a few jarring experiences to face. What was Andy’s life like growing up? What was she dealing with after Haywood House? Did Andy ever find peace? I loved this book! It was raw, emotional and offered a high level of character connection. The story was so real, the way it was written, the reaction to life events, the hope and the loss experienced by the main characters. I could feel the pain and joy as Andy moved through her life. It’s not often that I can connect so strongly with a character in a book, but I did so with this one. I was thrilled with the way Andy’s life turned out, despite all the hardships she has faced her 18 years. This book offers hope to those that might be struggling with similar issues as Andy. Much of this book hit home for me because of similar experiences faced in my teens and early 20s. I greatly enjoyed Kristine Scarrow’s writing and can’t wait to read more from her. Recommend: Yes. Go and pre-order this book! This book was provide by Dundurn Publishing through Netgalley.